Loosely based on the classic Chinese tale Journey to the West, the upcoming AMC series Into the Badlands features a warrior and a young boy as they journey together to seek enlightenment through a dangerous feudal land set in the distant future. The series will bring Hong Kong-style martial arts action to American TV audiences, mixing Southern plantation social structures with Chinese Kung Fu in a world where guns and other firearms are outlawed. haven't seen it yet only the trailer but it seems to be good. love this show! watched ep1-3. the action is the best part of this show. Maganda cinematography. Problem ko lang it reminds me too much of "The Man with the Iron Fists". Could be good or bad. But so far good pa naman. That episode 4 ending though. Dilemma. 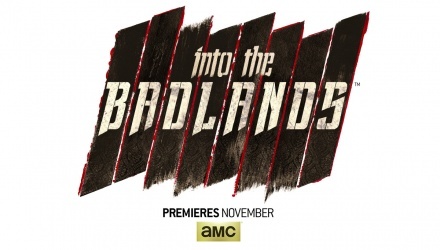 AMC announced that it has renewed the martial arts drama "Into the Badlands" for a 10-episode second season. Into the Badlands Season 2 will premiere on AMC in 2017. The new season premieres on Sunday, March 19, 2017 at 10:00 p.m. ET/PT. Into the Badlands Season 2 finds Sunny and M.K. separated and scattered to the wind, each imprisoned in unlikely places. While M.K. struggles to control his powers, Sunny is determined to fight his way back into the Badlands to find his family or die trying. On their journey, Clipper and Colt are assisted by mysterious, new allies whose motivations may be anything but pure. Meanwhile, The Widow continues to consolidate power against the other Barons, while a dark and mysterious threat prepares to exact revenge on them all. Alliances are struck, friendships betrayed, and by season’s end, Sunny and M.K.’s lives will be forever altered with devastating consequences. kapag hindi kamukha ng ina ang anak, ang laging tanong ay "anak ba niya talaga o ampon lang?" ^hindi naman yata sila talaga mag-ina. "Mother" lang ang tawag. May story yan, di ko lang maalala now. Season three of Into the Badlands finds Sunny (Daniel Wu of Tomb Raider) living off the grid, doing his best to provide for his infant son, Henry, in the wake of Veils death. It is only when Henry contracts a mysterious illness that Sunny must join forces with Bajie (Nick Frost of Shaun of th Dead) and journey back into the Badlands, where The Widow (Emily Beecham of Daphne) and Baron Chau (Eleanor Matsuura f Wonder Woman) are entrenched in a drawn-out war that has destabilized the entire region. No longer supported by Tilda (Ally Ioannides of Parenthood) or Waldo (Stephen Lang of Avatar), The Widow must find new allies in Lydia (Orla Brady of Frige) and in Nathaniel Moon (Sherman Augustus of Westworld) — the former regent who lost his hand to Sunny and Bajie in Sason two. But when a mysterious nomadic leader called Pilgrim (Babou Ceesay of Guerilla) arrives in the Badlands on a mission o restore Azra and usher in a new era of “peace,” old enemies must band together to defend the Badlands. The series also stars Aramis Knight (Enders Game) as M.K., Lorraine Toussaint (Orange Is the New Black) as Cressida, Ella-Rae Smith (Clique) as Nix, Lewis Tan (Iron Fist) as Gaius and Dean-Charles Chapman (Game of Thrones) as Castor. 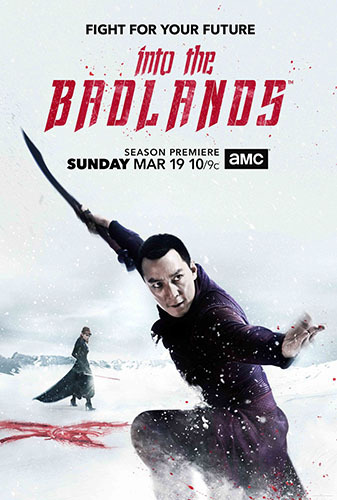 From AMC Studios, Into the Badlands was created by executive producers, showrunners and writers Alfred Gough and Miles Millar (Smallville) and is executive produced by Oscar-nominated producers Stacey Sher (Django Unchained) and Michael Shamberg (Contagion), along with David Dobkin (The Judge), Stephen Fung (Tai Chi Zero), Michael Taylor (TURN: Washington’s Spies) and Wu. Season 3 started last April 22. As of today, 2 episodes have been released. ^ Dammit!!! So no more Season 4 & the series will most likely end without proper closure. I actually enjoy this series. Was dreading this news as I know their ratings were not so good.